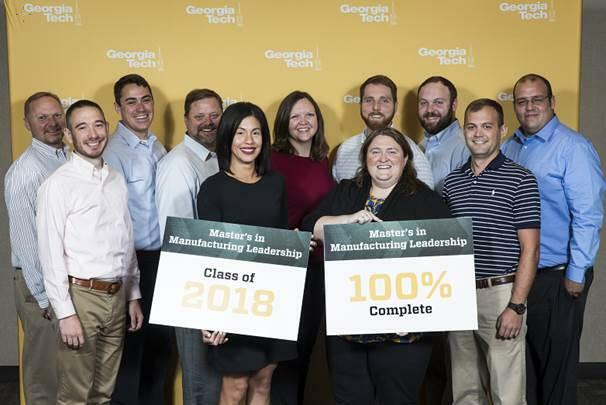 Four years ago, Georgia Tech launched the Professional Master’s degree in Manufacturing Leadership (PMML) as a way to energize manufacturing leadership within specific industries. The academic program aims to instruct on ways to propel your organization forward by working on real-world problems to build skills in operations and personnel management. The two-year engineering program can be pursued one class at a time and individuals may choose from one of three areas of concentration - forest bioproducts, chemical manufacturing and discrete manufacturing. The early deadline is approaching for the upcoming semester. Please visit the program website for information about the curriculum, admission requirements and other aspects of this advanced engineering degree or register for one of the next online Q&A sessions. Mark your calendars for the following dates of note: Early decision deadline, March 1; Final decision deadline, May 1; Program begins, August 19. The hybrid-format blends the benefits of working face-to-face with industry experts and peers with the convenience of learning online so your employees can continue to pursue the degree while working full-time. 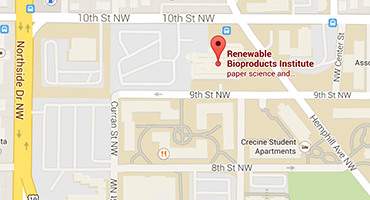 The Renewable Bioproducts Institute strongly supports the program – its leadership helped create it – and its potential to transform individuals, single companies and entire industries. We’ve already seen the results and heard the success stories from both graduates and their supervisors, some of whom comprise RBI’s Members Council.